Traveling Back to Pittsburgh: The Western PA Garden and Landscape Symposium « John Bartram Lives! “I am safe returned in very good health from Pittsburgh, God Almighty be praised: haveing been down ye Ohio below Bever Creek & up ye Monongahela to above Redstone Creek then to Fort Cumberland thence to ye warm springs in Virginia near Great Cape Capon & Potomack. Then to ye great cave near ye south mountain haveing crawled over many deep wrinkles in ye face of our antient mother earth haveing not observed one tree or shrub but what I have growing on my own land except a vine Aromatick which is very curious. I found also some very pretty plants…” John Bartram, John Bartram’s Journey to Pittsburgh in 1761. The first time I went to Pittsburgh, they were not serving Champagne. The last trip out to that magical confluence of three rivers was decidedly in better time and style. It was an opportunity to be met, to greet, to gather botanical information and samples, and to savour the finer aspects of gentlemanly living. A horticultural cornucopia of sparkly bits, gibecrake, givegoves, and falbalas. My wife was also able to accompany me this time. As well as my amanuensis, Kirk R. Brown: for whom and by whom the entire trip was planned. 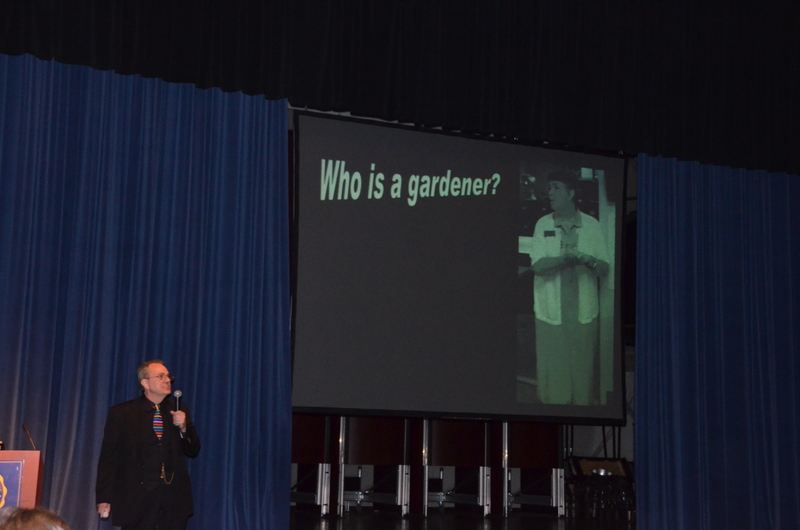 Mr. Brown tried to answer the question, "Who is a Gardener..." and used lavish photographic projections to illustrate his talk. You see it was from Mr. Brown’s book of lecture topics that the pages were pulled to edify and educate the general gardening public. I became the defacto group travel leader–having been there on so many previous occasions. The topic was horticulture and I was not the speaker. It's nice when there are opportunities for Kirk to bask in the light of his peers. The host venue was the Hillman Center for Performing Arts at the Shady Side Academy. Shady Side Academy was a new venue for the conference. The crowd seemed to be pleased with the change in location. The facilities were amazing. 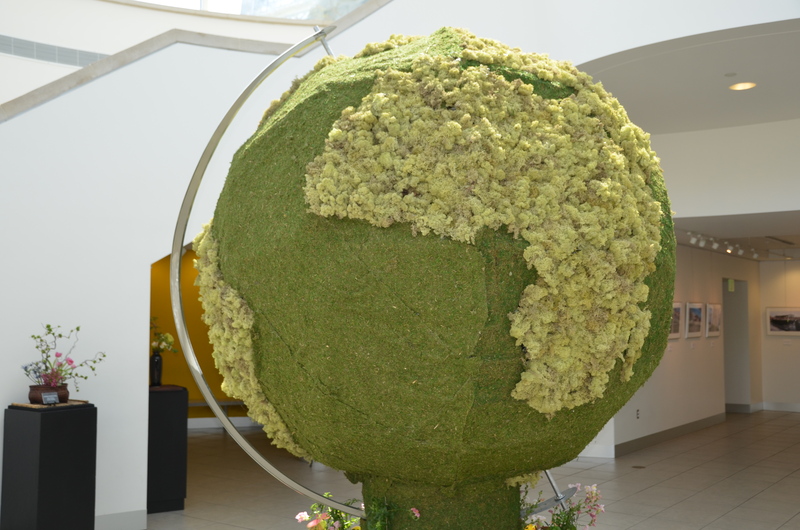 The hosting organizations were Phipps Conservatory and Penn State Extension. 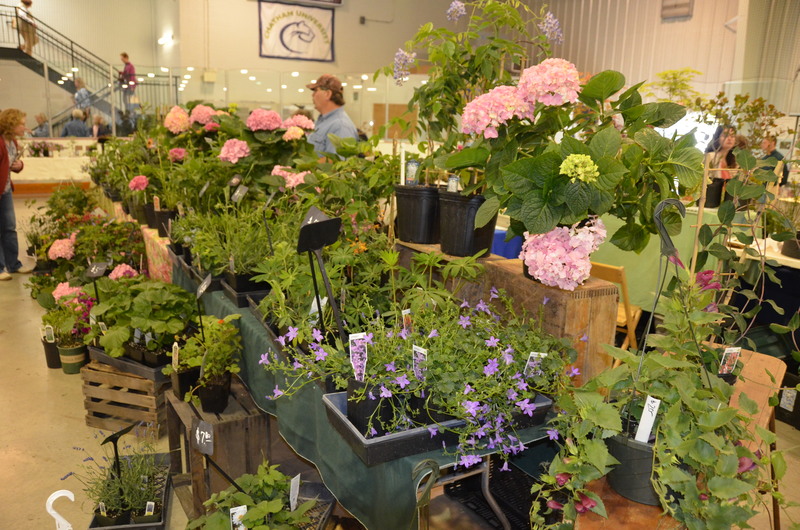 It was an outstanding roster of speakers that attracted a large following of dedicated gardeners, designers, botanists, and shoppers! 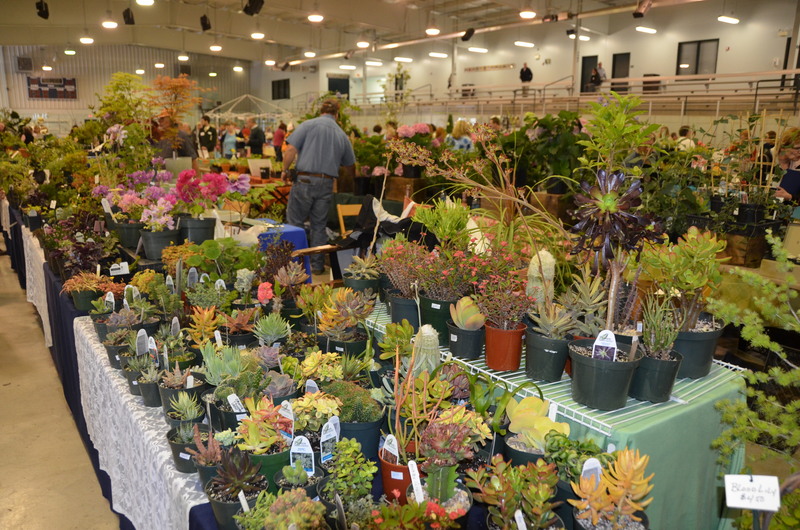 Many of the vendors were selling a fabulous collection of new plant introductions. The quality of the displays was exceptional. 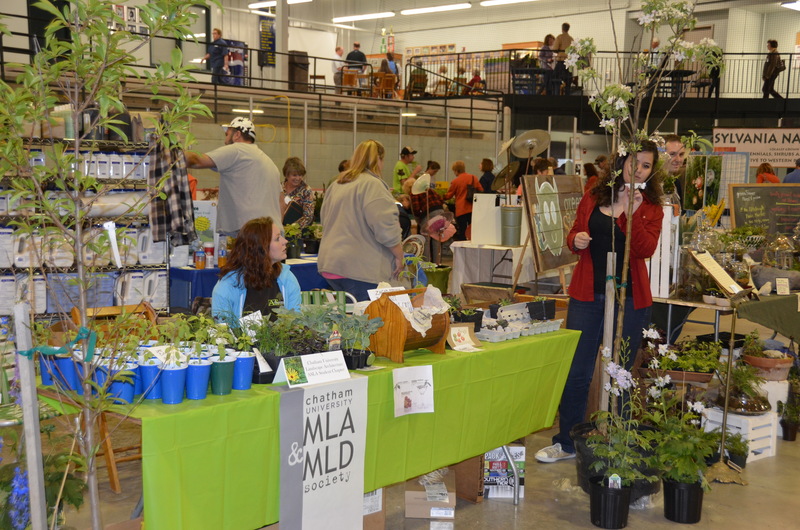 The last group was there especially for the Garden Marketplace: a new venue that gave one expansive space to haggle with vendors on the purchase of garden art, horticultural whimsy, and the easy avenue of specimen collecting. The pots were sitting there waiting to be selected! The succulents were just as their name implies. Tasty delights. Not like the last time I was in Pittsburgh! 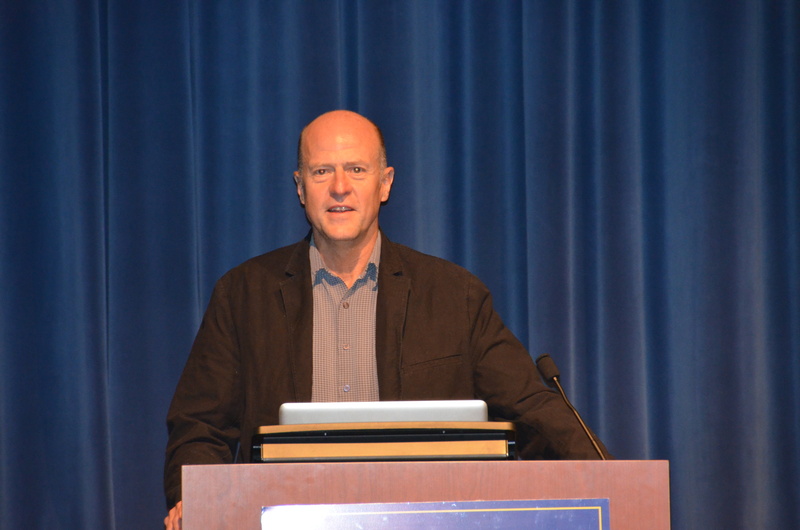 Other speakers were diverse in their programming and their approach. 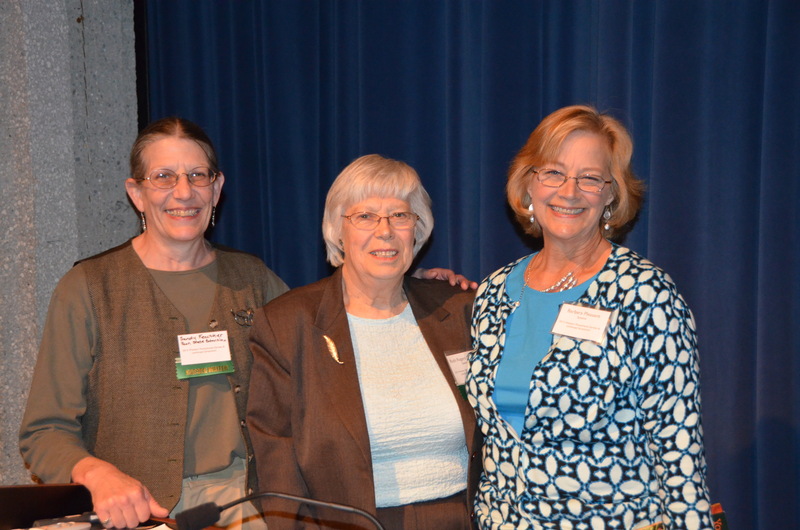 I love the opportunity to hear talks on gardening from different perspectives. Sandy Feather is an extension agent from Western PA that I have known and respected for many years. She introduced Ruth Rogers Clausen and Barbara Pleasant. It was an oppotunity to meet and discuss process with one the world’s most well-traveled plant hunter. Dan Hinkley has been to more countries than plants I discovered. I admit to being slightly envious (a non-Quaker emotion) over his ability to see so much more of the world. He has selected some amazing plants on his collecting trips. It was a very empathetic group of speakers. I appreciate them all! 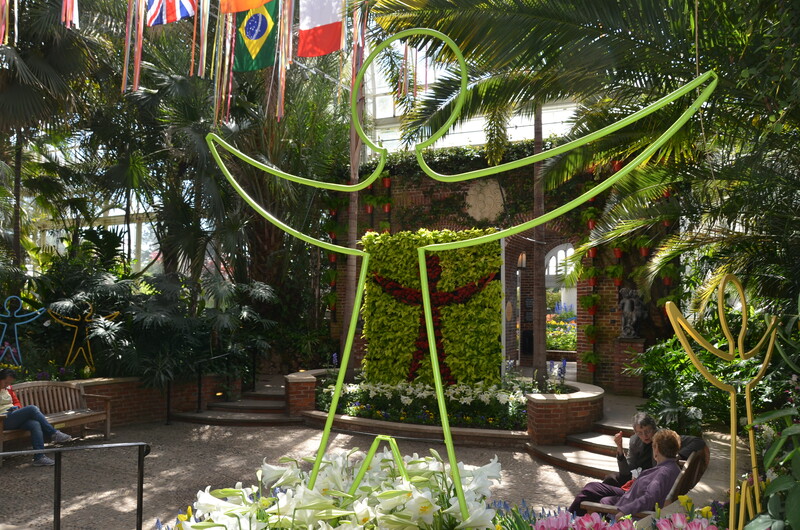 Phipps Conservatory was dressed for the day of the conference in international colors from all the world's flags. What a great day it was! 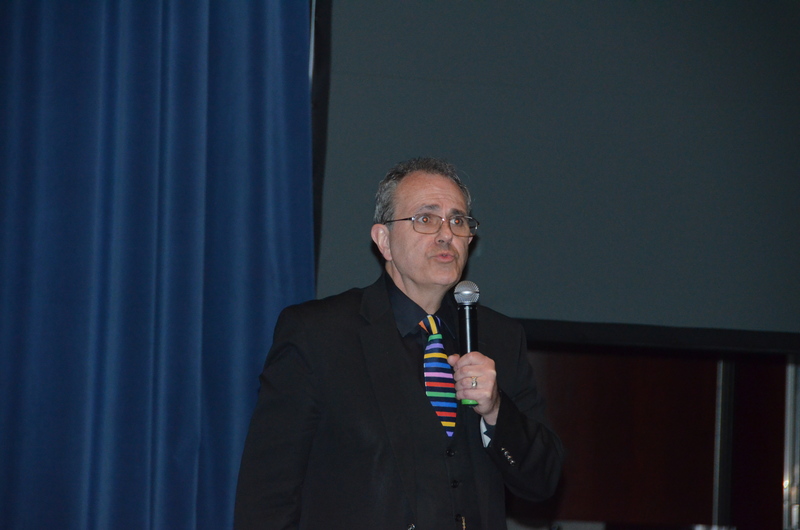 Thank you so much for your inspiring and entertaining talk! 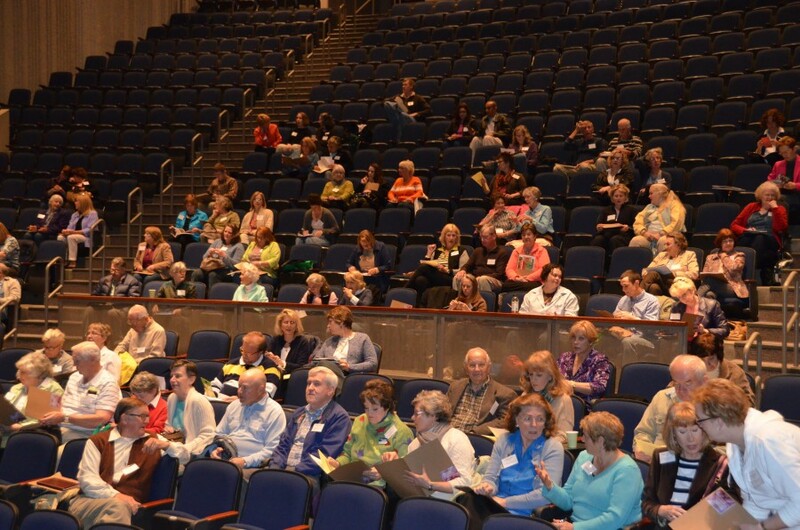 It was a wonderful space with an audience that definitely got my attention and all of my enthusiasm. Loved the GardenMarketplace. What a great day! Thank you for the inspiring and entertaining talk!